﻿ Best Price on Cadis Tower in Panama City + Reviews! The adult-only Cadis Tower is located in Panama City's central business district, and 10 minutes’ drive from Old Panama City. It features views of Panama City and free Wi-Fi throughout. The apartments offer contemporary décor, air conditioning, living area, cable TV with DVD player and a balcony with city views. The kitchens come with microwave, fridge and stove. Maid service is included, at every 4th day of occupancy. A variety of restaurants offering international dishes and local cuisine can be found within 1 km, and there is a supermarket just 200 metres away. The surrounding streets are filled with nightclubs, bars and shops. 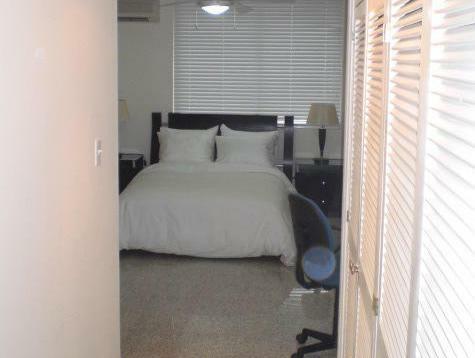 Cadis Tower is 5 km from Albrook Shopping Mall and 5 km from the Craft Market. Tocumen International Airport is a 25-minute drive away.